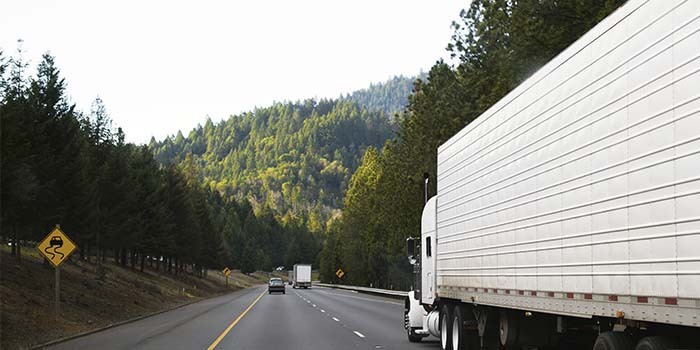 If you have been injured or a loved one has been killed in a traffic accident involving a large truck, such as an 18-wheeler, a semi-truck, or a tractor-trailer, you are not alone. Annually, accidents involving big trucks kill or injure thousands of people. Because of the huge weight difference between a semi and the general passenger automobile, SUV, minivan, or pickup truck, the passengers of the smaller vehicle can suffer serious injuries, including death. or other serious injury that will require immediate medical care and possibly several surgeries. Some injuries, such as quadriplegia, paraplegia, brain damage, and loss of limbs, can be permanent and deserve full monetary compensation to cover your physical and psychological injuries, as well as lost pay to cover your bills. Trucks following the vehicle in front of them too closely, resulting in a rear-end collision with the vehicle in front of it. Driver being distracted, or not aware, such as texting while driving. If you or a loved one has been seriously injured or killed in an accident involving a semi truck in Mount Pleasant South Carolina, contact the experienced personal injury lawyer team at The Green Law Firm today, so we can start working right away to secure compensation to help you get the medical and monetary help according to law.